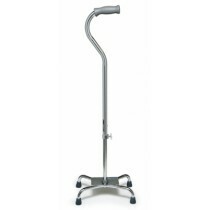 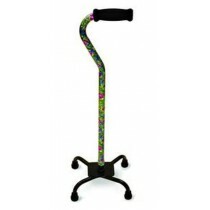 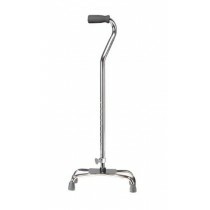 Quad canes are unique in that they provide a broad base to a walking cane. 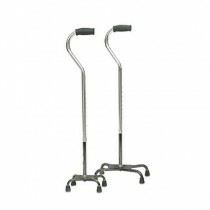 Quad canes deliver, as their name implies, four points of contact to the ground. 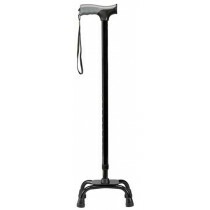 Not only does this give the user a higher degree of vertical support, it also keeps the base from slipping and the user has the option of releasing the cane without worrying the cane will fall over on its side. 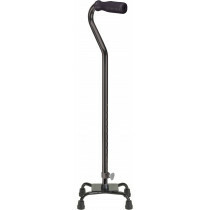 Quad canes come in varying heights and materials that allow the user convenient daily use and endures regular wear and tear. 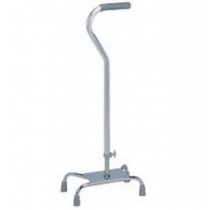 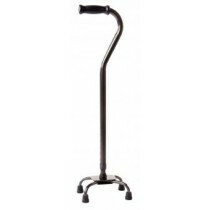 Vitality Medical offers reputable brand names of quad canes as a great resource for our customers who depend on cane assisted mobility.